The most convenient way to stock up your paper products! 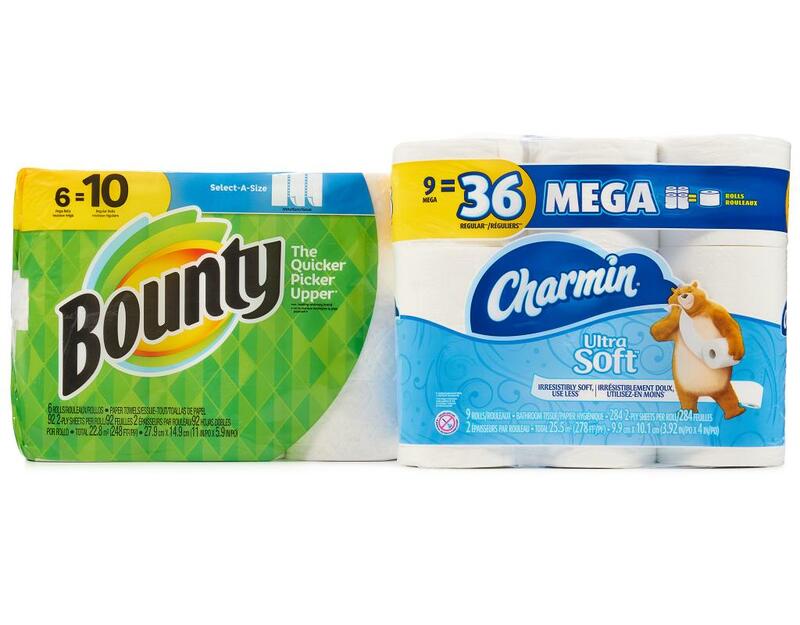 • 6x Bounty Mega Rolls: Bounty Select-a-Size Mega Rolls now have even more sheets, equivalent to 20 rolls! Locks in the mess with less - select-a-size gives you the choice to use smaller sheets for more control. • 9x Charmin Mega Rolls: With Charmin Ultra, use up to 4x less! Charmin Ultra Soft (36 Double Rolls) - Using less never felt so good! Charmin Ultra Soft is more cushiony soft and absorbent so you can use 4X less than the leading value brand. America's softest bath tissue! 2-ply with more cushiony softness so that using less never felt so good.